Who can say if you’ll be changed for the better? But when you wear this Royal Blue tank, you will be changed for good! 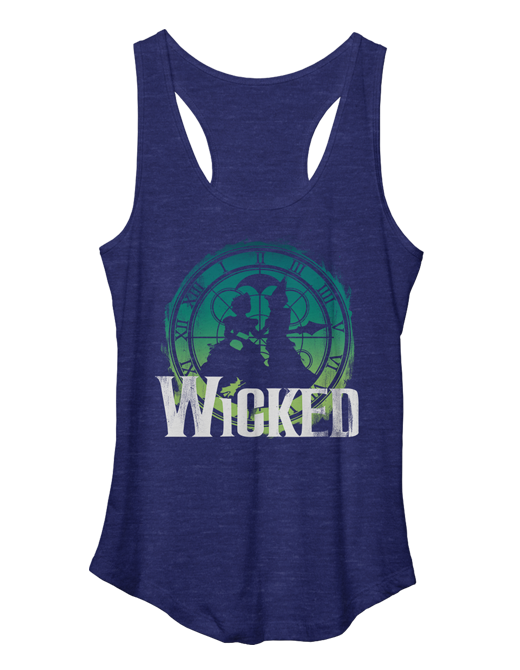 Features the Wicked logo against an Elphaba and Glinda Silhouette Clock design.